What happens when you mix fresh snow, reasonable temperatures, and a partly-sunny Saturday? 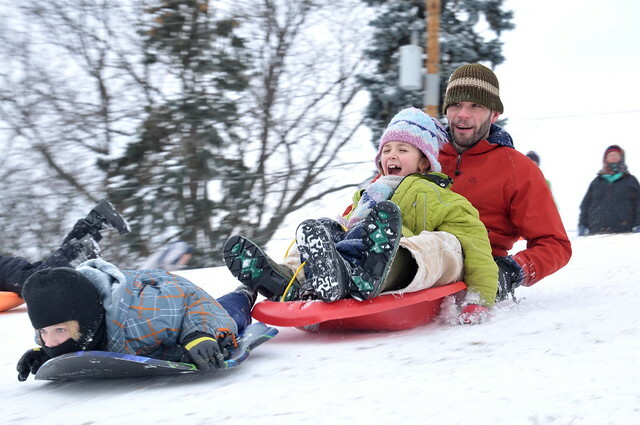 If there are kids involved, you get sledding! 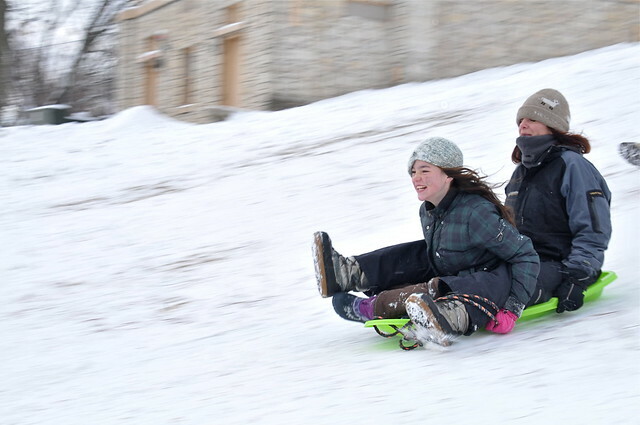 One of Madison's nice sledding hills is only a few blocks from my house. I had to run to the ReStore to get a new light fixture for our entryway (the 70-year old one was failing) and my route goes right past the hill. I was not dressed for an extended time on the hill, but for fifteen to twenty minutes I would be fine. There were 40-50 people there, representing a pretty wide range of ages. Some of the kids were really little, and some of the parents seemed more likely to be grandparents. But everyone was having fun! With sledding comes crashes, in large part because it never occurs to kids to walk up the side of the area where they are sledding. Nope. The trudge right up the middle of the hill in everyone else's way. And, because kids simply cannot foresee consequences, the kids at the top launch down the hill. Frankly it is amazing that more kids do not get clobbered. Of course, it is also my observation that the parent-aged kids are most likely to get hurt as they rag-doll down the hill. Today was uneventful in that I did not even hear anyone cry after a collision. Smiles were abundant and When I was done shooting I had a nice chat with a couple of dads. Then it was off to pick up that $4.00 recycled light fixture and get it installed while I had daylight to work with. 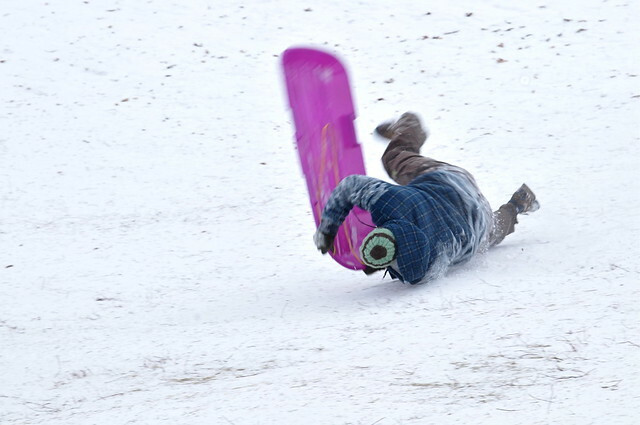 There are a big bunch of sledding pics from the day in a SLIDE SHOW. Enjoy!